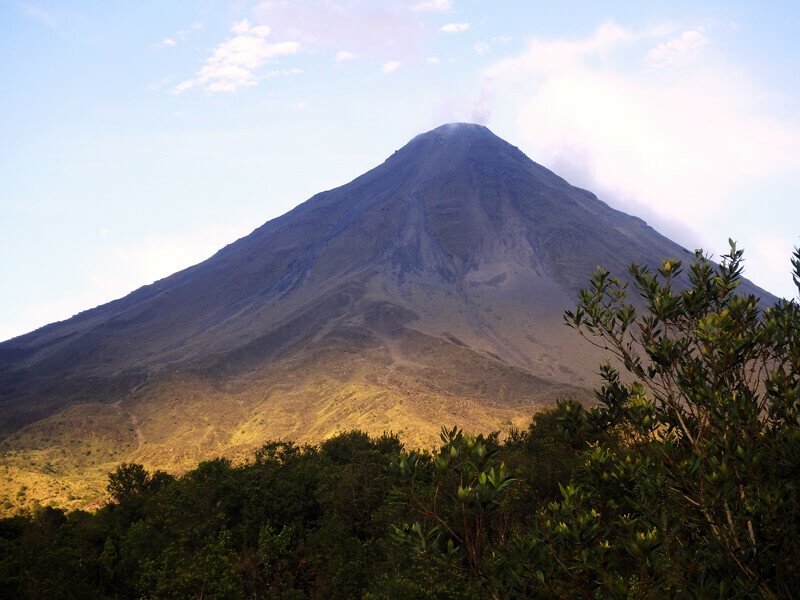 Visit the Arenal Volcano National Park during the morning and learn about the famous volcano: one of the most important icons of Costa Rica! 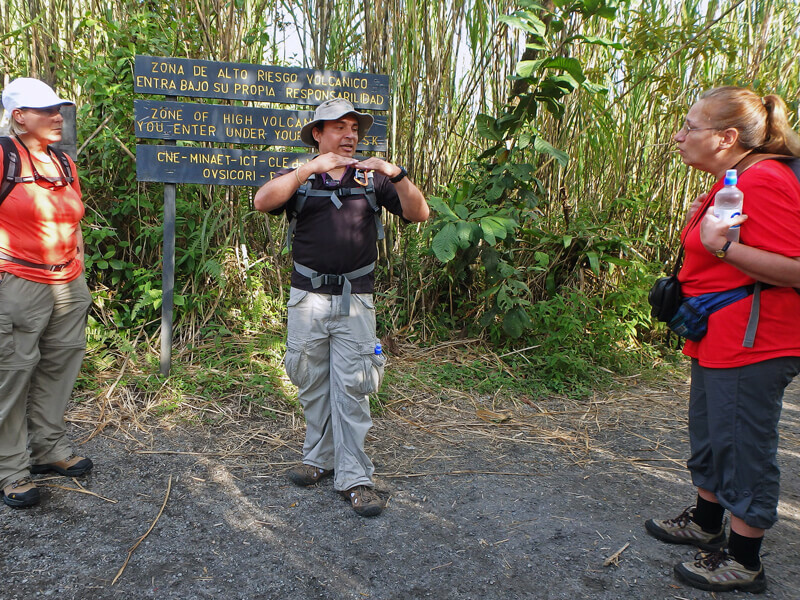 The tour to Arenal Park starts with a pick-up from your hotel where you will meet your friendly and knowledgeable guide. When you arrive at the National Park on northwest side of the Volcano you will start the hike. This view is very different from what you can see from La Fortuna center. The northwest side is stripped of vegetation and deep craters are clearly visible. 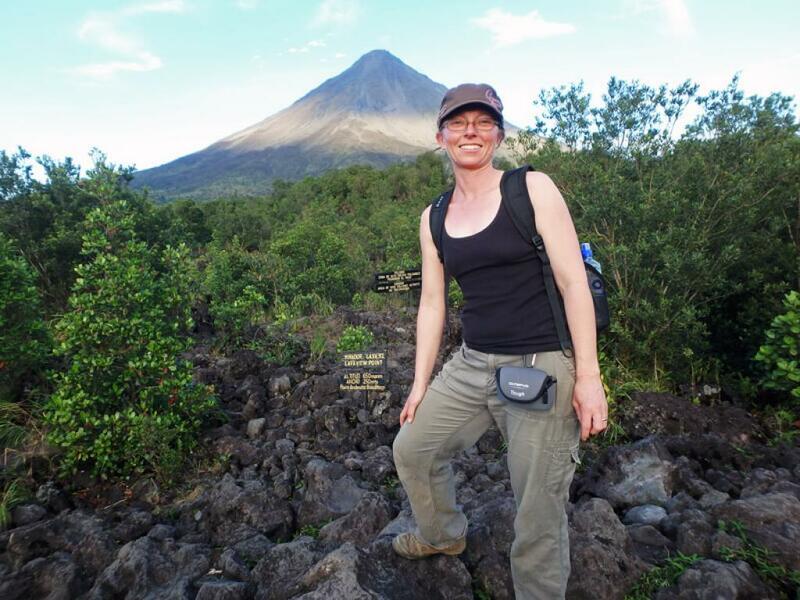 An experienced nature guide will take you on safe trails with the best possible views of the Volcano. The vegetation along the trail is relatively new and you will see many pioneer species of plants and trees. Several inches of ash below a thin top soil prevent the roots of many larger species of trees from taking hold. Note that even though lava has not been seen for several years, the Volcano is very much active (you can sometimes still hear it rumbling and see small clouds of vapor rise from its cone) and on a guided tour you will learn all about the Volcano's fascinating history. The hike is along easy flat terrain, the sparse vegetation can allow better glimpses of wildlife like colorful lizards and wild turkeys. As you approach the lava fields, be prepared to hike up one flight of steep stairs (less than 5 minutes). 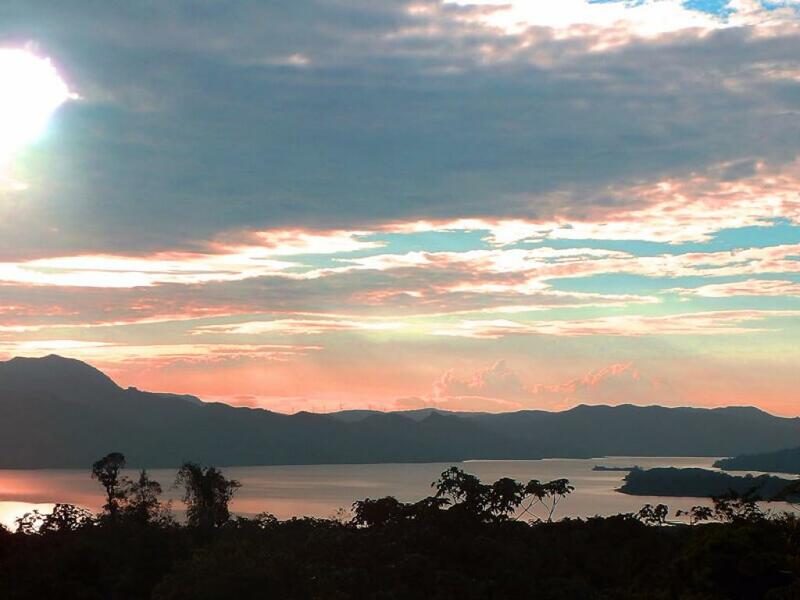 On clear days, what awaits is a spectacular view of the Volcano on one side and Arenal Lake on the other side. 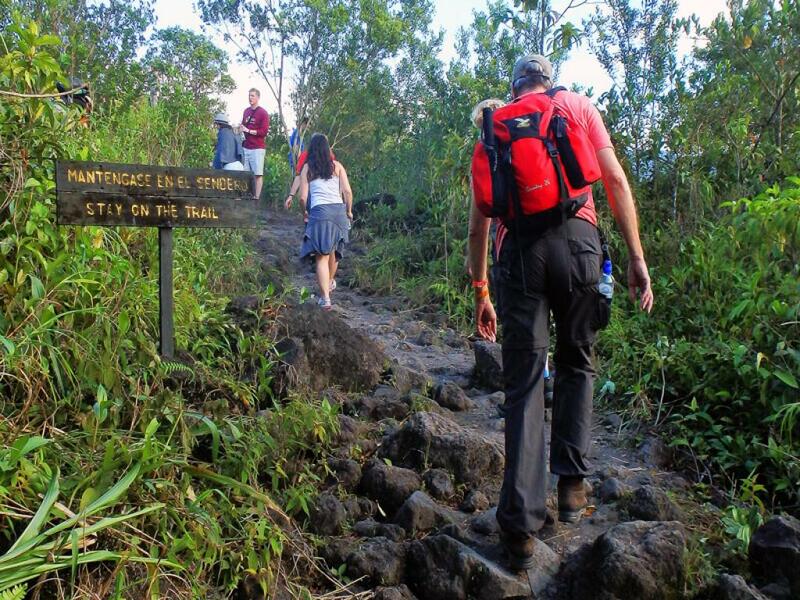 You will have the chance to experience walking on the uneven and rocky lava fields (good walking shoes recommended! ), literally the cooled lava from past eruptions. 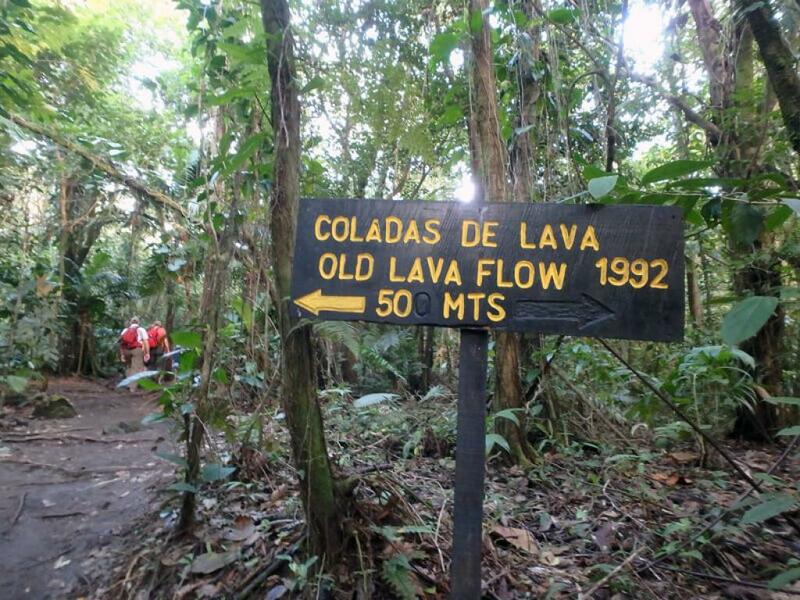 Your guide will describe the eruptions of the past and point out interesting geological formations. 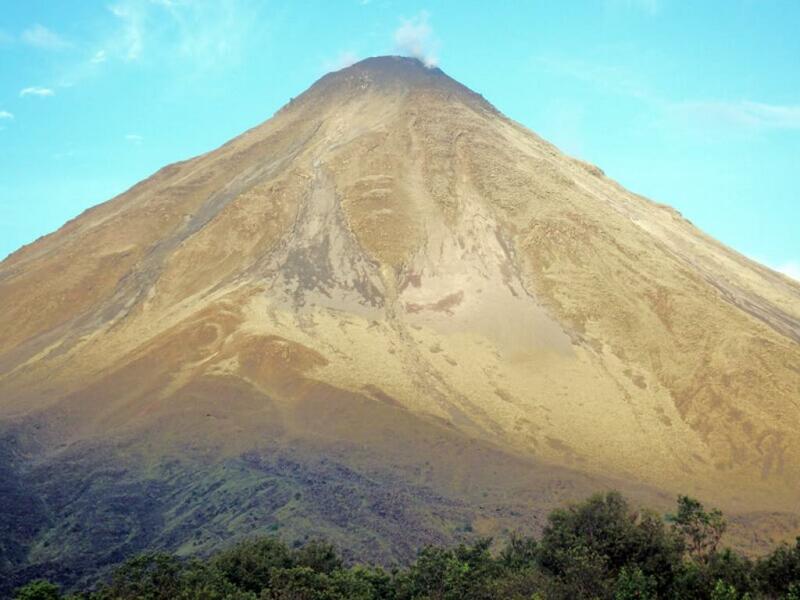 A Volcano tour (although this time it will be in a private reserve) may be combined with a visit to one of the Hot Spring in Arenal - check out the different hot springs available. transport (included for most hotels but some hotels are outside our pick-up area and have an extra cost, please inquire).